Back in the 1960s the world of construction was experiencing rapid changes. The old methods of calculation were being replaced by new electronic devices. 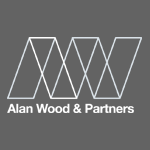 Alan Wood & Partners were formed in 1968 to address the need for expert civil and structural consultants. Alan Wood & Partners changed the face of civil engineering in Yorkshire at the time. How can Sulphate Attacks be Prevented? Work has started on the 20,439m² extension, which will double Arco’s current warehousing and logistics capacity. The new Learning Resource Centre at Hymers College was once the old gymnasium after being sympathetically refurbished it is now a flexible, multi-function adaptable technology-rich learning environment positioned at the heart of the school, with space for open-plan learning, a café and a multi-function hall and library. Hes only gone and done it!! Hull business leaders are aiming to conquer towering Mount Kilimanjaro in an inspiring challenge to support the transformation of the city's Holy Trinity Church. This infographic looks at the latest developments happening in Yorkshire. Here is a video showing the new waste to energy technology that we have been developing with our team, now in operation. Based on time served principles of cyclonic destruction, the EFT system is designed to take a wide variety of pulverised waste streams. "Its about making the Church a community hub again"
Bomber Command had more than 125,000 men who served as aircrew to protect our great nation. Just fewer than 70,000 people returned. 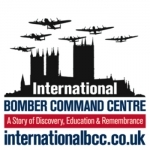 With no doubt the role of the Bomber Command has been truly under recognised until now. Holy Trinity’s amazing development will happen in meticulously planned phases. Phasing enables the complicated process of gaining the necessary permissions to proceed smoothly whilst work on approved work continues,and allows fundraising to be completed one phase at a time. CIVIL and structural engineering firm, Alan Wood & Partners, is planning to double the size of its business over the next five years, on the back of impressive recent growth. To find out more information about our Sulphate Attack services please click here. Geotechnical Engineers face many challenges when preparing for major sporting events.